Over the last years, the growth of fintech has gained significant momentum globally, attracting US$19.1 billion in investment in 2015 alone. In Asia, fintech funding reached an all-time high, quadrupling 2014 total with US$4.54 billion in investment across 130 deals, according to a report by CB Insights and KPMG. While corporates in more mature regions of the world typically see fintech companies as a disruptor to traditional banking, in Asia, there is a much broader focus on fintech as an enabler for existing companies to extend their market share and to gain customers among the unbanked and underbanked populations. Fintech is spurring innovation that is disrupting traditional banking and wealth management. Today, we take a look at some of the region’s hottest wealth tech startups and disruptors. 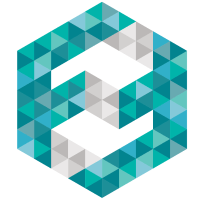 Canopy: an account aggregation and reporting platform for high networth individuals and their wealth managers. Bento: a bionic investment advisor providing unconflicted, custom-built, ETF-only portfolios at a fraction of the cost. Conduit Securities: an agency-only execution provider specializing in both global equity & fixed income markets, servicing professional clients worldwide, regulated by the Monetary Authority of Singapore. 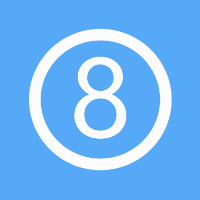 8 Securities Limited provides online security brokerage and trading services in Asia. The company is known for having launched Asia’s first zero commission mobile stock trading service. The app lets users trade 15,000 US, Hong Kong and China H shares and exchange traded funds for free. Users can hold their account in USD, HKD or RMB. There is no minimum balance or account fee. 8 Securities’ robo-advisory service, called Chloe, helps users set up savings goals with an affordable investment plan to achieve them. It also offers a B2B robo-advisor solution. 8 Securities was incorporated in 2010 and is based in Central, Hong Kong. 8 Limited has licensed offices in both Hong Kong and Tokyo. 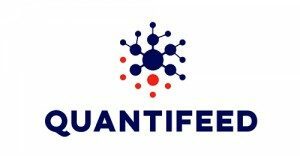 Quantifeed’s software and financial models provide institutions with a configurable solution to suit their wealth management objectives. This allows firms to reach hundreds of thousands of consumers quickly and economically. Users can invest in portfolios of stocks, funds and other asset classes across all major global markets. Quantifeed offers a library of portfolios for asset allocation, thematic investments and other trading strategies. 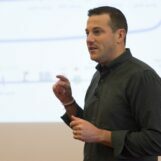 The company was founded by former investment banking executives Alex Ypsilanti, CEO, and Ross Milward, CTO in Hong Kong in 2013. 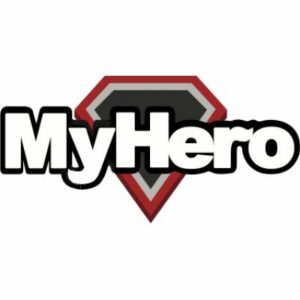 Founded in 2012, MyHero is the company behind TradeHero, a platform for traders to monetize their investment expertise aimed at democratizing trading through a social and gamified mobile app. TradeHero is a popular free stock market simulation app, which draws real-world data from stock exchanges to create a global social investment network. Users can compete with friends from their social networks, or on the global leaderboards with users from across the world. The app brings novice and knowledgeable traders together, allowing novice traders to subscribe for stock tips via push notifications, and top traders to earn subscription fees from followers. FinFabrik is a financial services technology company that build investment and wealth management platforms for financial institutions. It focuses on investment-related services, ranging from active client trading to automated wealth management platforms. FinFabrik’s flagship product, BrokerFabrik, is a system for brokerage firms on which to run their entire business. It is a unified platform for any company that wants to bring stock trading services to their clients, integrating an engaging client trading front-end that runs on mobile and desktop, a robust middle office suite, back office functions and third-party integrations covering >40 global markets. Prive Financial Limited is an innovative financial technology startup located in Hong Kong. 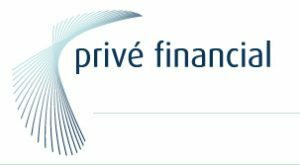 Prive Financial provides an online platform that provides a comprehensive set of wealth management, asset allocation, and product structuring tools. The platform integrates these three core functions by being able to automatically generate and execute securities across global markets on multiple asset classes. Prive Financial is licensed by the Securities and Futures Commission to deal in securities. 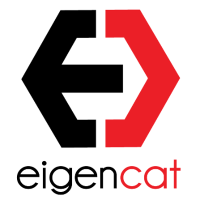 The company has offices in Singapore, Taiwan, Korea and throughout Europe. Founded in Hong Kong in 2011, Aidyia has developed a cutting edge artificial general intelligence (AGI) technology to identify patterns and predict price movements in global financial markets. AGI is a branch of artificial intelligence aimed at learning mimicking the human brain’s breadth, depth and generality of understanding. Applied to financial markets, the result is financial prediction and trading systems with a human like ability to not only recognize mathematical patterns in market data, but to understand what these patterns mean in a broader context. 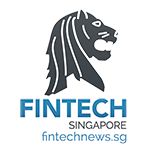 Based in Singapore, Call Levels is one of Asia’s hottest fintech startups. The company provides a free app that delivers financial market data updates. Powered by the cloud and built with proprietary monitoring technology, the solution lets everyone access finance information on-the-go at the ease of their fingertips. The B2B provider offers an innovative multi-asset class portfolio analysis platform for wealth managers and individuals to manage the risk and performance parameters of their investments. Combining sophisticated analytics and innovative visualization, the platform delivers an intuitive view of performance, volatility and risk across all levels – aggregate book, individual client portfolios and single asset level. 2017 would be a great year for Fintech!